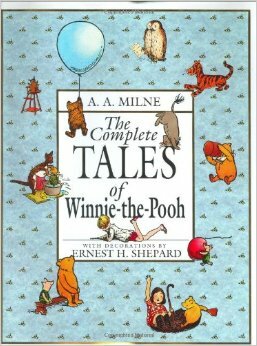 I've always had Winnie-the-Pooh in the back of my mind, but I only finally read both volumes of this "really good read" (so I've heard) recently. As I read, I had the general five-star rating that Amazon's readers gave it confirmed by the fun of the characters (mostly based on the stuffed animals of A. A. Milne's son Christopher Robin). Pooh Piglet, Roo, and Tigger, for example, are very much children, with children's typical egocentric focus on themselves. At the same time, Pooh, though a somewhat gluttonous Bear of Very Little Brain, has the childlike love of the world that prompts plenty of poetry, which he, with childish confidence, is sure that Christopher Robin will love. Piglet is a typical little kid who is more than a little worried about everything. Both Roo and Tigger are filled with the energy of children that sometimes exhausts the adults in their lives. Many of the others seem to be more children's view of adults: Rabbit all busy and bustling, but not very patient; Kanga the perfect mother, but just a little fussy; Eeyore - the somewhat depressed (and depressing) donkey. What binds the two groups together is their love for Christopher Robin, who owns all these (stuffed) creatures. What makes the characters funny is their general lack of awareness of their own weaknesses, but this can also get somewhat discouraging story after story. I was pleasantly surprised, then, when near the end of the second volume, Milne tells a story that shows how, sometimes, the communion of saints breaks through. We've seen Rabbit in action before, trying to un-bounce Tigger, but now his brusqueness is put to good use when he (finally) tells Eeyore what we've been thinking all along - to stop feeling sorry for himself and go out and visit others. Pooh sings a song that does more than just amuse himself; it also pays tribute to Piglet's earlier heroic actions. Finally, Piglet, when Eeyore mistakenly gives away Piglet's house to Owl after Owl's tree falls down, quietly lets Owl keep the house and accepts Pooh's gracious offer to come and live with him (echoes of Acts 2:45!). All the creatures, who love the one who owns them, learn to love each other as well. That's what we should be seeking as well. Our unity in the One who owns us should prompt our love for the others who are owned by Him (at much greater cost than Christopher Robin's ownership). That love prompted by God's love for us in Christ is also what Caleb Kaltenbach calls for. Caleb eventually found out that both his parents were homosexual. After his parents' divorce, his mother lived with another woman. Caleb found out that his father was gay only after Caleb's conversion. That conversion happened only after a childhood and adolescence learning to hate the Christians who seemed to have nothing but hatred for his mother and her partner. I'm an addict and I want to know my next step. I can't handle my finances. While Kaltenbach's journey to knowing Christ follows a somewhat Arminian narrative, and requires a "re-baptism," these and other similar scenarios that he mentions are worth considering. How welcoming are we to people who need our help - or who don't know that they need our help yet? However, near the end of the book, Kaltenbach's call for church to be somewhere you can "belong before you can believe" confuses hospitality with membership. That comes through later when he asks, "What about those who say they love Jesus, claim to believe in the Bible, and attend church regularly and meanwhile are in a loving gay relationship?" His response that he is "not sure we are supposed to be judges of others' salvation" contradicts precisely what is the proclamation of faithful church discipline. "To live in sin" is to live outside Christ, as was the man condemned by Paul in 1 Corinthians 5:1-5 with the ultimate purpose of restoring him to fellowship with Christ and His church. It is not loving for the church to leave someone in their unrepented sin. So... which of these is a really good read, and which is only a pretty good read? 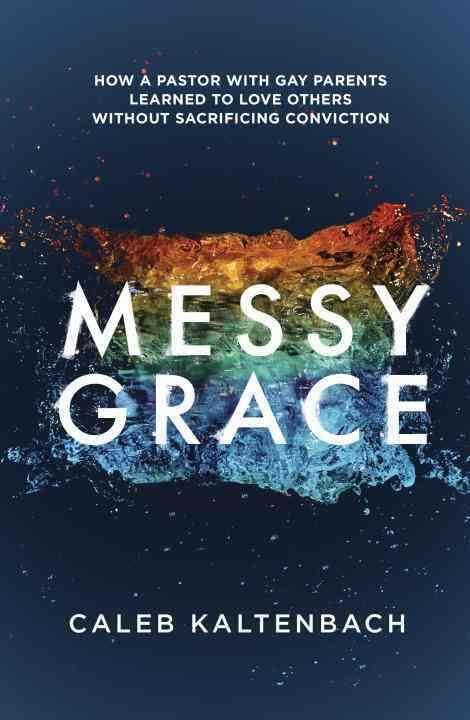 You decide if you want to order either The Complete Tales of Winnie-the-Pooh or Messy Grace (or both).